What is Asbestos? What are the hazards of Asbestos? 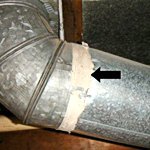 Asbestos hazards in an older home How do I find out if my house contains Asbestos? 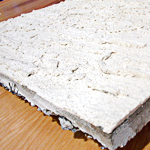 What about Vermiculite Insulation? Asbestos is a potentially deadly fibrous mineral that’s very tough and resistant to chemicals and heat. 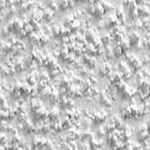 Up until 1990, it was regularly used in ceiling texture, drywall mud, flooring, and attic insulation. If these materials are disturbed (such as when they are drilled, sawed, sanded, or broken up during renovations or demolition), workers and family members can breathe in asbestos fibres. 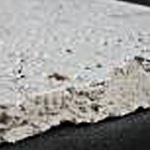 WorkSafeBC’s definition of an asbestos containing material (ACM), other than vermiculite insulation, is 0.5%. Renovating or demolishing houses containing asbestos products can release asbestos fibres, which are extremely fine and can stay in the air for hours. Breathing in asbestos fibres may cause serious health problems, including lung disease and cancer. 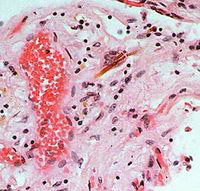 Asbestosis is the name given to scarring and stiffening of the lungs caused by inhaling asbestos dust over many years. It makes breathing difficult and may lead to fatal diseases such as pneumonia and heart disease. Exposure to asbestos can also cause lung cancer and mesothelioma, which is a rare cancer of the linings of the lungs and abdomen. Asbestos-related diseases usually develop many years after a person has been exposed to asbestos. The risk of developing these diseases increases with the amount of asbestos in the air you inhale and the length of time you are exposed. 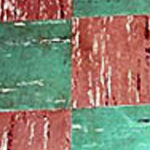 shingles also known as Transite Board. When you are renovating or demolishing an older house, there is a very high probability of encountering asbestos containing building materials. 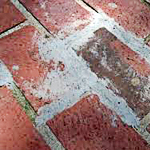 Homes built from the early 1920s to the late 1990s are known to contain multiple types of asbestos containing products. 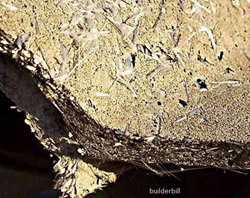 There are hundreds of different asbestos containing building materials above and beyond insulation. Small percentages as low as 0.5% content pose a health risk to one’s health and need to be removed by a qualified and experienced abatement contractor. Please be aware that if asbestos containing materials are in good condition and left intact, they do not pose a significant danger of releasing asbestos. 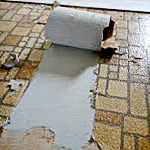 These materials are only hazardous when they deteriorate or are disturbed, such as when they are handled, sanded, drilled into, or broken up so that they crumble. This list is not comprehensive and contains only the most frequently occurring asbestos containing building materials found in older homes. How do I find out if my house contains asbestos? An Epoch Environmental technician adheres to WorkSafeBC’s minimum sampling guidelines when collecting suspected building materials. They are sent to an accredited laboratory, Epoch Analytical for testing. It is not recommended that you collect samples on your own as you may not have knowledge about which materials may contain and where they may be concealed. Asbestos fibres are microscopic and cannot be identified with the naked eye. Furthermore, most city demolition permit processes require a Qualified Professional to conduct the Hazardous Materials Survey/Assessment. According to WorkSafeBC, vermiculite insulation containing ‘any %’ amount of asbestos is considered an asbestos containing material. Vermiculite has been used in various industries for over 80 years. It is used in the construction, agricultural, horticultural and industrial markets. Vermiculite is the mineralogical name given to hydrated laminar magnesium-aluminum-iron silicate which resembles mica in appearance. Vermiculite has an unusual golden tan to iridescent white popcorn appearance. Vermiculite is not a form of asbestos, however vermiculite ores from some mines have been found to naturally contain asbestos minerals, namely Actinolite and Tremolite. In BC, a significant quantity of our Vermiculite supply (sold under the trade name “Zonolite”) was extracted from the Libby Mine in Montana USA. This mine had a natural deposit of asbestos which resulted in the vermiculite being contaminated. 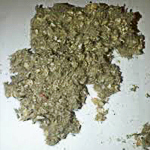 If you have vermiculite in your home, it is reasonable to assume that is may be asbestos containing. 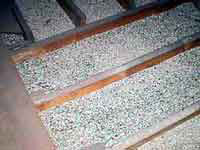 Vermiculite insulation is commonly found in attic spaces, ceilings and behind the walls of older homes.